Pioneers in the industry, we offer geomembrane pond liner and hdpe geomembrane sheets from India. 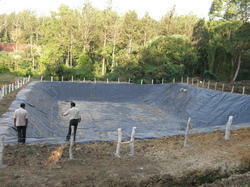 We are one of the prominent firms in offering a wide range of Geomembrane Pond Liner in the market. Our provided products are designed using high-grade raw material under the supervision of experts. Apart from this, the offered products are used extensively in the construction of waste management landfills and engineered capping system. 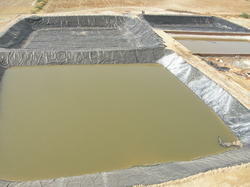 Looking for Geomembrane Pond Liner ?